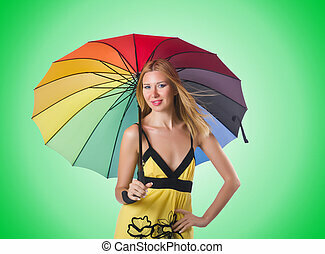 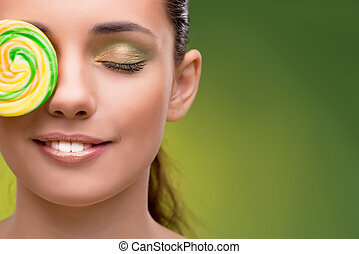 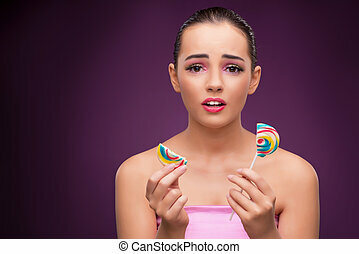 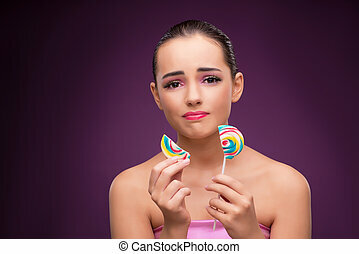 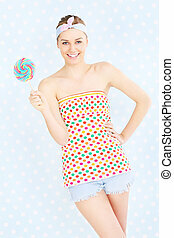 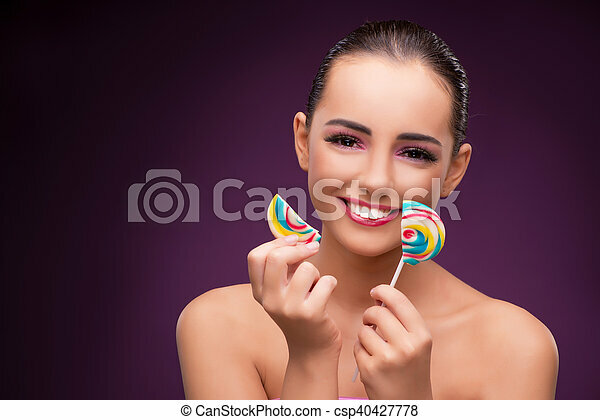 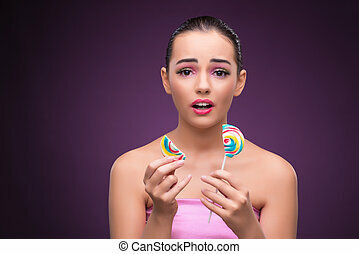 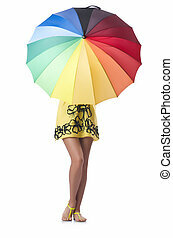 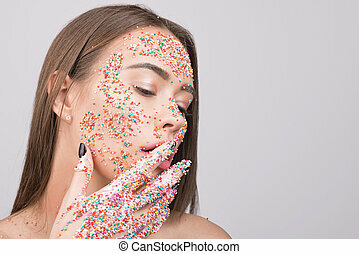 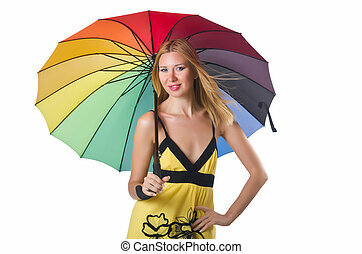 Beautiful woman with colourful lollipop. 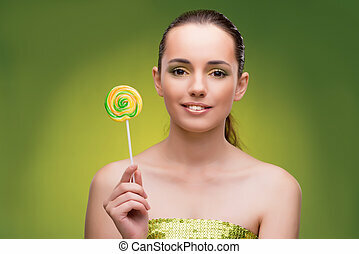 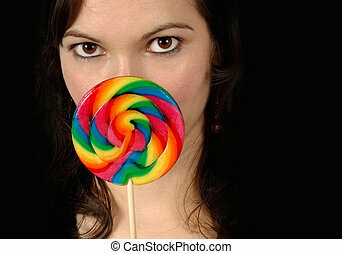 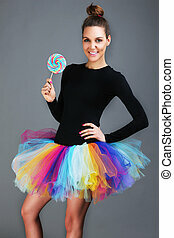 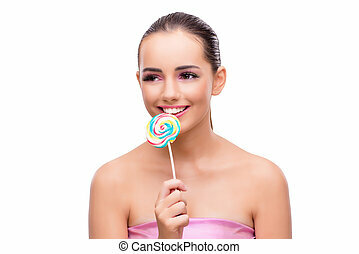 Beautiful female with a large colourful lollipop. 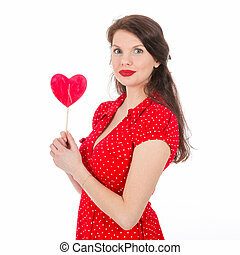 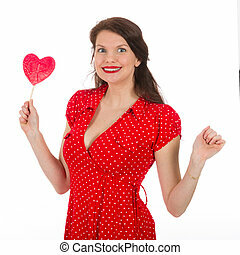 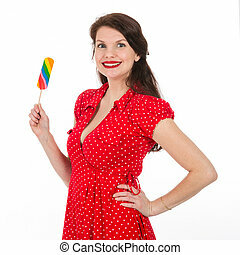 Portrait of beautiful woman with lollipop, dressed in pin-up style. 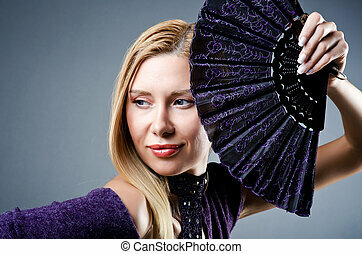 Caucasian blond model posing in retro fashion and vintage concept studio shoot.